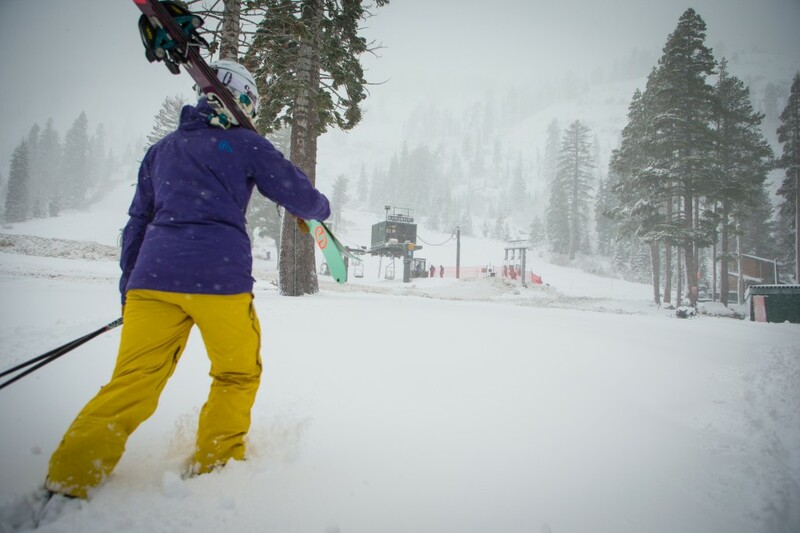 Strong winds and white-out conditions forced many Sierra Nevada ski resorts to close Thursday. The National Weather Service issued a blizzard warning and Caltrans urged travelers to use chains while traveling Highway 80 toward Tahoe. But Friday, the roads cleared and many ski resorts opened after receiving almost two feet of snow. Sugar Bowl Resort, near Donner Lake, got 22 inches and Alpine Meadows, which opened for the first time this season, has 14 inches of new snow. Tegan Kopilenko, a spokeswoman for Squaw Valley-Alpine Meadows, said the storm improved ski trails near the base of the mountain, where the resort has been relying on man-made snow. "The lower parts don’t always get snow early," Kopilenko said, "and this year they are, so it makes more of the mountain accessible to more people." 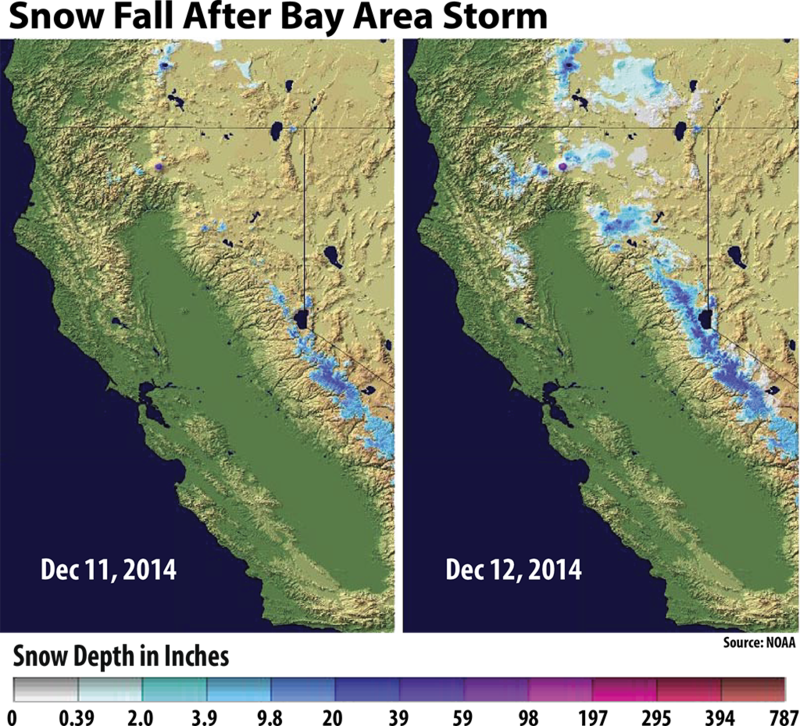 The Sierra has had less snow this year in 2014, due partly to normal fluctuations temperature. The drought has played a minor role too, according to Greg Fall, a researcher at the National Operational Hydrologic Remote Sensing Center. "Because of the drought, we started off with almost no snow in the Sierra," Fall said. "This storm has made a significant dent but it hasn't turned it into a normal year." Last year, 75 percent of the Sierra Nevada range was covered in snow; this year, it's 25 percent, according to data from the Remote Sensing Center. A storm the first week of December left little more than what Coop Cooper calls "snain" -- a combination of snow and rain. Cooper is a public communications manager for Kirkwood Mountain Resort. "The rain came in really warm," he said. Not this time, though. Kirkwood got 13 inches of snow in Thursday's storm. Resorts can expect more snow next week as a new storm moves through the Bay Area Monday.